Let’s keep this brief. I can see three main contenders for the green jersey which is awarded to the winner of the points classification. The best sprinter. He will be the favourite on every single flat stage. The second best sprinter and one of the few capable of consistently challenging Cavendish. He has massive legs and looks like a basking shark when he sprints. Sagan’s not quite in the same sprinting class as Cavendish and Greipel but he has one massive advantage over those two when it comes to the points competition – he is capable of winning so many different stages. The toughest mountain stages might be out of his range, but every other day he’ll be in the mix come the finish, even when his green jersey rivals are not. 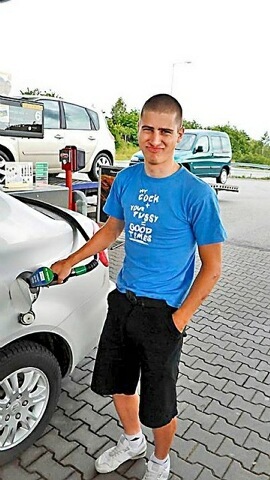 Sagan’s interests include celebrating wins, women’s arses and crude T-shirts advertising his appreciation of other parts of the female anatomy.